Ralph Vincent Morales joined the firm as a partner in April 2017. He has extensive experience as a trial attorney, with specialization in medical malpractice, insurance litigation, personal injury, general negligence, general liability, and labor law litigation. He has tried more than twenty-five cases in the Supreme Court of the State of New York in the Counties of New York, Queens, Kings, Bronx, Nassau, and Suffolk. Mr. Morales has tried medical malpractice cases in which he has represented doctors, hospitals, and other medical professionals. Additionally, he has tried cases on behalf of plaintiffs in actions sounding in personal injury, premises liability, products liability, and labor law. Additionally, Ralph has vigorously defended parties against identical claims in separate actions. Ralph also has extensive experience with arbitrations and mediations and he has participated in settlement negotiations with opposing counsel, insurance carriers, and New York State Supreme Court justices. Further, Mr. Morales has drafted and delivered oral arguments in dozens of summary judgment motions before the New York State Supreme Court. Moreover, Ralph has been entrusted to represent doctors under investigation by the New York State Department of Health Office of Professional Medical Conduct. 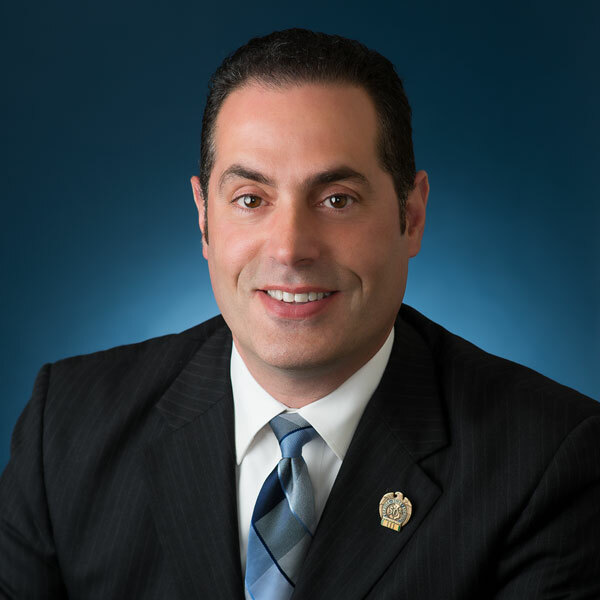 Prior to entering private practice in 2002, Mr. Morales spent six years as a senior assistant district attorney for the Kings County District Attorney’s Office. During that time, Ralph was entrusted with trying the highest-profile, serious felony cases in his bureau, known as the Red Zone. Ralph tried more than 14 criminal cases during his tenure as a Brooklyn prosecutor, including matters that involved attempted murder, gunpoint robberies, serious assaults, burglaries, and domestic violence. In addition to prosecuting felony cases and presenting criminal investigations to grand juries, Mr. Morales conducted investigations and trained incoming attorneys in how to best analyze the issues of their caseloads, as well as in trial advocacy skills. Ralph also taught NYPD recruits at the New York Police Academy about the legal complexities of search and seizure, as well as how to be effective trial witnesses. Mr. Morales also served as a frequent expert analyst on Court TV programs, including “Open Court,” “Trial Heat,” “Best Defense,” and “Both Sides.” He provided expert legal analysis on criminal trials from around the United States and explained trial proceedings as they developed live in the courtroom, with ongoing expert analysis of legal issues as they arose during the televised trials. When Ralph is not excelling in the court room, he is volunteering to benefit his home community: he serves on the Executive Board of the Farmingdale Police Activity League and is highly involved in coaching and supervising fun sports programs for local children. Mr. Morales also is the Vice President of the Board of Education in the Farmingdale School District, where he has served as an elected Trustee since 2014. Finally, Ralph has completed a book about the life of his namesake, hero, and late uncle: Vincent Santaniello, a U.S. Marine that was killed in action during the Vietnam War in 1968 at the age of 19.